I loved this novel. 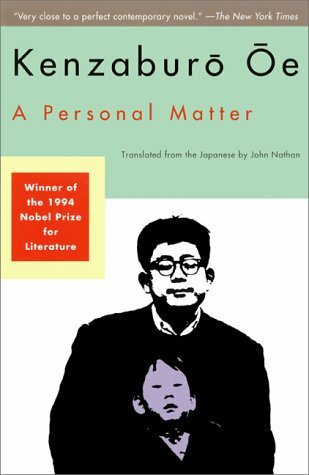 Having meandered across a few fantastic books written by Japanese authors, I recently decided to be more purposeful in reading books from Japanese authors. A quick search on the internet quickly brought me to Kenzaburo Oe. Without reading the synopsis on the cover (which I never really do before reading the book in full), I checked the book out of the library and dove in. The book begins with a man, Bird, who has dreams and aspirations of traveling to Africa, but whose wife is presently giving birth to a child. The child would make such a journey to Africa financially impossible. As it turns out, the child has a brain hernia, which is described to look like two heads. Bird is repulsed by the child and spends much of the book simply waiting to be rid of this deformed child. 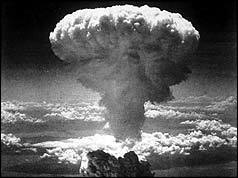 The child's deformity is blamed on the bombing of Hiroshima and Nagasaki by other. However, Bird feels personally responsible, as if the child's deformity is due inadequacy in his own life. Bird constantly deals with the moral dilemma of wanting his deformed child to die and out of his life. On the one hand, he feels his life would be free and full of new adventure and opportunity if only the child died. On the other hand, this is a child and an living being. He is wracked with self pity and revulsion for the himself and his child. He is neither villain enough to kill the child, nor angel enough to save it. Though the synopsis speaks of a deformed child, the book is more about Bird and his tendency to run away from his problems rather than take responsibility and face them. He is a man who did not particularly want to be married, have a child, and settle into domesticity. He seems to have married more for cultural reasons than personal ones. But, he did marry and is now having a child. The book opens with him pining for Africa, perusing maps of the country while his wife is in labour. He is a man who has stumbled through his life, never really deciding one thing or another. The book deals extensively with fears. It also deals with responsibility. This is ultimately a sketch of how a person handles trauma, how life can fall apart or pivot on a dime, how the tolerated becomes intolerable. This novel depicts the mind in a state of grief and trauma. The child itself appears to be a symbol. The author descriptively connects the child and Bird through small actions, such as in sleep or scratching behind an ear. These two beings are unquestionably connected. This is a theme that I have barely mentioned, though I believe the author depicts and illustrates a much deeper connection here than I realised. This leads into my appreciation of the descriptive writing in this novel. Events and characters are often described indirectly. Characters through metaphor or simile. 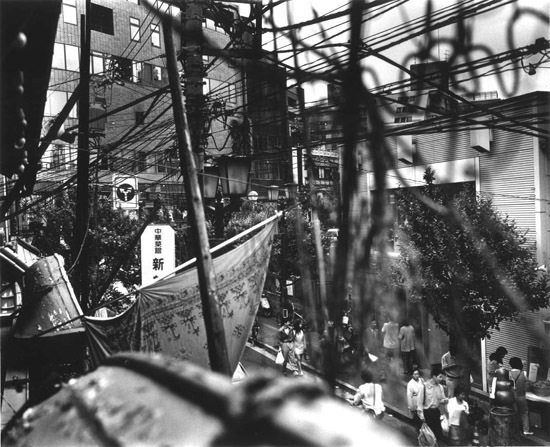 Mood through indirect events within the scene, such as a bike racing through mud and rain to depict a frantic state. I loved this method of description. It was subtle, complete, and perfect. Running from dealing with the issue of his deformed child, Bird runs to an old friend, Himiko. With her he finds again passion, he relaxes into who he is and looses much of his self-doubt. With the exception of his feelings towards his deformed child. This seems like progress. They are often depicted together naked, symbolising a sense of openness, of physical and emotional exposure. As the reader, I believed he was facing his personal issues and finding purpose in his life. Bird becomes entirely entangled in his own issues. He barely realises how his personal issue is affection others. He sways in the balance between self reliance and leaning on a community. Suffering is not a singular affair. In this novel it affects a number of other characters, whether the protagonist realises it or not. The author uses other characters to compare and contrast Bird and his actions and reactions. This element of the novel I found subtle and intriguing. One character is fighting tooth and nail to keep someone he loves, ultimately a loosing battle, whereas Bird is waiting and nearly assisting the death of his child. There are many of these parallels. At first, I didn't always understand the roll of the other characters in the novel. However, throughout Bird's personal journey and the novel, the role of these characters becomes clear. Though the topic and themes of this novel may appear rather grim, in fact, the ultimate theme is facing fears, hope, and love. Bird, in the end, is able to face his fears. He stops running from his fears and problems and takes responsibility. This affects his child, his family life, his work. At last, the man is able to find. peace. All in all, I loved the novel and would certainly recommend it. I have plans to read more of Kenzaburo Oe and dive further into Japanese contemporary literature. 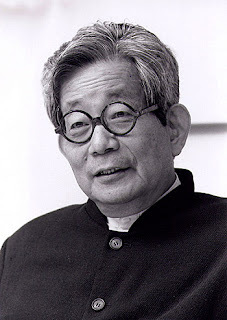 Kenzaburo Oe was born in 1935 on the island of Shikoku. He lived through World War II and experienced the militaristic education and monarchical absolutism of Japan at the time. Embracing then change and democracy of post WWII, Oe left his village for Toyko at the age of 18. He enrolled in the Department of French Literature at the University of Toyko. He was strongly influenced by the humanist values of his professor, Kazuo Watanabe.Oe began writing in 1957, whilst still a student. He married Juzo Itami in 1960. Change came to his life at the birth of his first son, Hikari, who had a brain deformity and was mentally disabled. These events led him to write A Personal Matter in 1964. He was awarded the Nobel Prize for literature in 1994. 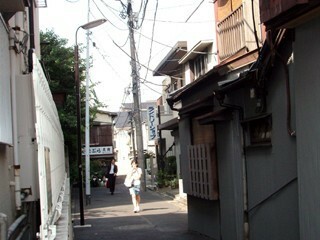 He currently lives in Toyko with his family. 1. The descriptive writing. The mood was often set indirectly, by describing something in the setting, such as a bike cycling in the rain, to set the mood of the scene. 2. Bird. I liked this character. I could empathise with his plight to a degree and enjoyed watching him progress through this trauma. 3. The true description of how an individual copes with trauma. I appreciated the way you wrote about this book. Though you've missed the relationship of Bird with a woman with whom he was having extra-marital affair.